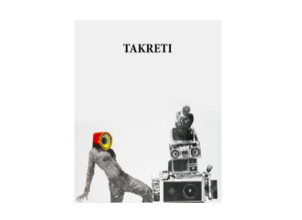 Ayyam Gallery launches 'Takreti', a bilingual monograph of Khaled Takreti, featuring a survey of the artist’s work from 2002 until 2014. Complementing this comprehensive catalogue are essays by novelist, art critic, and editor Pascal Amel and Ayyam Gallery Artistic Director Maymanah Farhat. The launch coincides with the artist's latest solo exhibition LOL at Ayyam Gallery Beirut from 11 September - 24 October 2014. Featuring a new series of works, the exhibition will highlight a recent development in Takreti’s painting style as he enters the second phase of his twenty-year oeuvre. Expanding his focus on sociocultural themes, which emerged in his previous body of work, Complete Freedom (2013), his latest paintings employ a new postmodern aesthetic, one that evokes the desensitised, image-saturated age of today. Exhibition opening and book launch in the presence of artist Khaled Takreti.